The Springfield Housing Authority includes six developments with 1,337 units that are home to elderly and disabled residents, and services are offered at each location to help residents live independently and stay in good health. 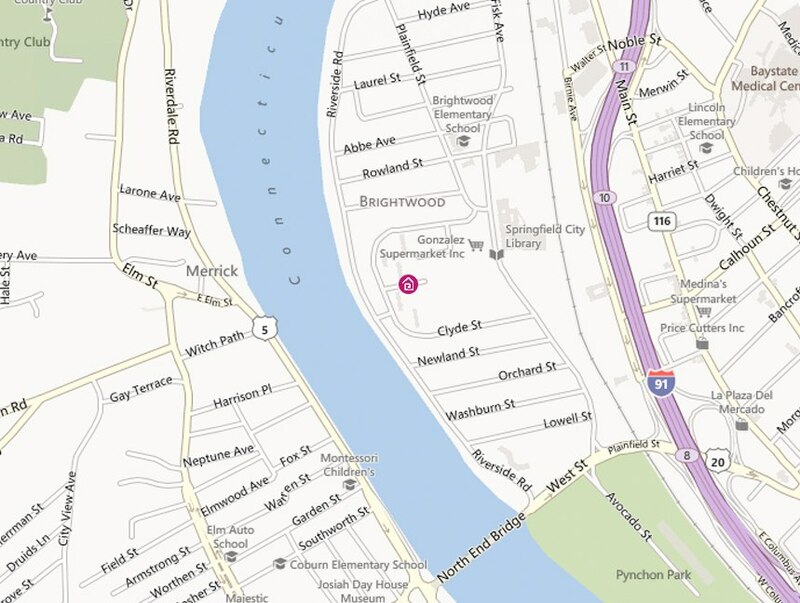 SHA housing developments for elderly and disabled residents are Forest Park Manor, Gentile Apartments, Jennie Lane, Morris Apartments, Riverview Apartments and Tri-Tower Apartments. 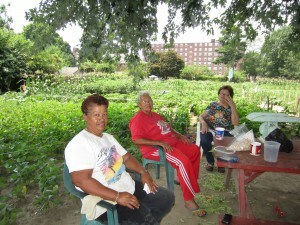 Antonia and Josefina Rivera and a friend take a break in the shade at the community garden at Springfield Housing Authority’s Riverview Apartments in the Brightwood section of the city. 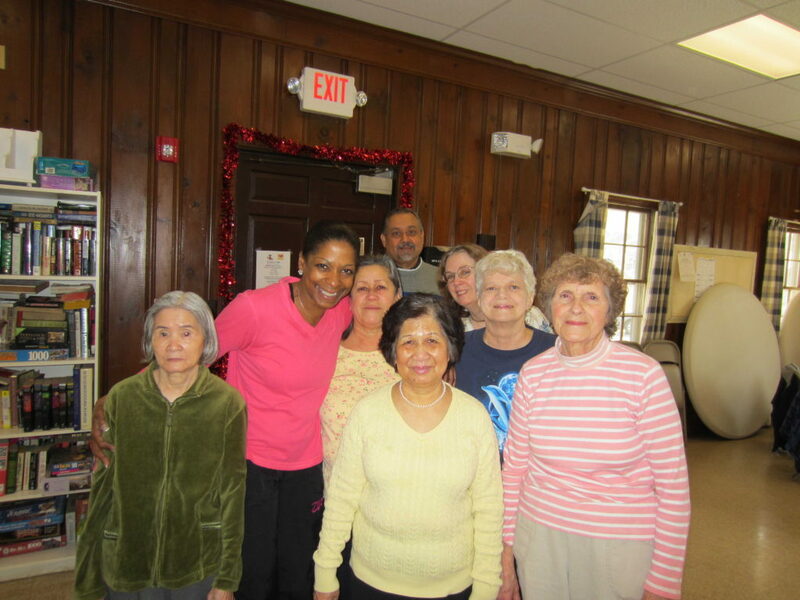 All SHA housing for elderly and disabled residents host regular programs aimed at promoting good health, including exercise classes, visits from health professionals, and classes that focus on nutrition and independent living. In some cases, outside groups or agencies visit to provide services. Some outside providers are the Springfield Department of Elder Affairs, Jewish Family Services of Western Massachusetts, University of Massachusetts Extension Services, and Peabody Resident Services. 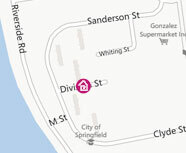 Some developments have programs specific to those locations. For example, Forest Park Manor has weekly walking group, where residents walk through and around the nearby Forest Park in friendship and for good health. At Riverview, several residents have formed a community garden, where they grow and harvest fresh vegetables and herbs. CareerPoint: CareerPoint specializes in exceptional customer service, innovative programming, creative problem solving, and an entrepreneurial “can do” attitude. CareerPoint transforms the maze of complex, bureaucratic Employment and Training Programs into one seamless service delivery system for job seeking and employer customers alike. Department of Transitional Assistance: The mission of the Department of Transitional Assistance is to assist low-income individuals and families to meet their basic needs, increase their incomes, and improve their quality of life. FutureWorks: FutureWorks is the place to be for employers and job seekers. Job Seekers can connect with the jobs they want by clicking the ‘Find A Job’ icon. Employers can list their openings at NO COST by clicking on the ‘Post a Job’ icon.